Since she stole our hearts in 2005 with her ballads about heartbreak and finding love all while trademarking a cute strawberry blonde ‘do, Keyshia Cole has been a woman of substance and an artist of high caliber. The depth of her lyrics coupled with her incredible vocal range continues to amplify her relevance in the R&B genre and beyond. Cole has opened her life to the world for years with her heavily-viewed reality show and her many televised live performances. Since gracing the silver screen on BET, Cole has become the woman we all imagined her to be: a wife, mother and diva. Cole left the music scene for a life worth living, all while maintaining her fabulousness whenever blog sites and paparazzi would catch up to her. Miss Cole has made her way back to the forefront of R&B with an album all women cannot get enough of. “Woman to Woman”, set to be released in November, is guaranteed to be programmed on repeat in iPods and car stereos worldwide. Cole regains the slowjam throne with powerhouse songs such as “Enough of No Love” and “Woman to Woman” all while featuring some of the industries best like Lil Wayne, Ashanti and Trey Songz. 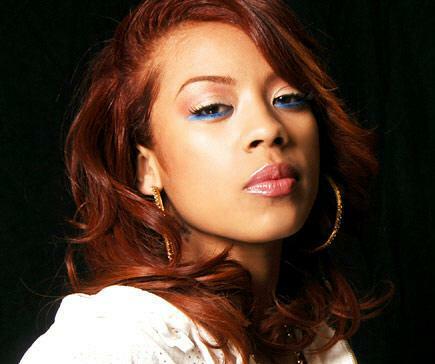 Check out Keyshia Cole’s debut video from the album and set your calendars for November. Keyshia’s back and we couldn’t be happier.